The Australian Music Centre manages a range of projects in support of Australian music, ranging from new online initiatives to awards and artist development programs. To find out more about our online learning platform Echo, the Art Music Awards, Paul Lowin Prizes, AMPlify artist development framework, other AMC projects and activities as well as APRA's Art Music Fund, please follow the links below. See also our historical timeline to find out more about the AMC's activities and services over 45 years. Echo is a new online learning platform, developed by the AMC, offering new perspectives through the Centre's living collection of scores, recordings, education resources and aggregated media. Echo invites secondary school music teachers and students to access dynamic and interactive education resources. Explore a visual snapshot of Australia's evolving music ecosystem and discover the connections that shape art music (encompassing contemporary classical, contemporary jazz and improvised music, experimental music and sound art) in Australia today. Echo has been launched as a 'beta' site in 2018 with a limited set of content and functionality. At present, Echo offers users access to six digital kits and links to four physical kits and senior secondary school instrumental repertoire lists, all of which is contextualised by a subset of data generated from the AMC's database. This evolving database includes information about AMC's 700+ Represented and Associate artists. The Art Music Awards (formerly the Classical Music Awards) are presented each year by APRA and the Australian Music Centre to recognise achievement in the composition, performance, education and presentation of Australian music. > Nominations for the 2019 Art Music Awards have closed. Held every 2-3 years, the Paul Lowin Prizes - the Orchestral Prize ($25,000) and the Song Cycle Prize ($15,000) - are among Australia's richest prizes for music composition. 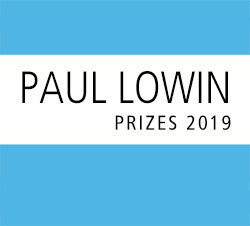 > Applications are now open for the 2019 Paul Lowin Prizes. Ngarra-Burria is a program that builds bridges for First Peoples musicians to step forward, further develop their composing skills, and connect with the art music sector. The program is delivered by a partnership between Moogahlin Performing Arts, the Australian Music Centre, ANU School of Music, and Ensemble Offspring, with funding support from APRA AMCOS, and in-kind support from EORA College of TAFE. > Applications for the 2019 program are now closed. The Art Music Fund was initiated by APRA AMCOS in recognition of the limited opportunities for art music composers to have their works performed. This program is supported by the Australian Music Centre. For all details, please visit the APRA AMCOS website. > Applications for the fourth round have closed. AMPlify is the AMC's new framework of artist development programs, being developed in close collaboration with APRA AMCOS, as well as other key partners. The second edition, AMPlify Indigenous Composer Initiative, was announced in September 2016, and the third, AMPLIFY GERMANY, in November 2016. Further details about individual programs and AMPlify partnerships will be released as programs proceed to a stage where expressions of interest can be sought from artists. The Australian Music Centre publishes a range of sheet music, books, education kits and recordings.